Finding a good music for your YouTube videos are not exactly hard, the only problem is not being able to monetize your YouTube due to copyright issues. 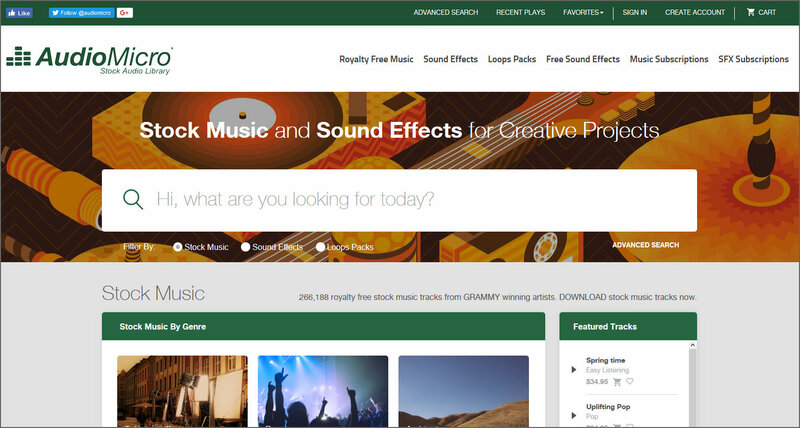 In this article, I’ll go over some of my personal best websites to get royalty free music and sound effects for YouTube! Most of the music and soundtracks available in these website are free to use, you can monetize your video, the only condition is you are required to credit the original author. Most of them are license under the Creative Commons License. 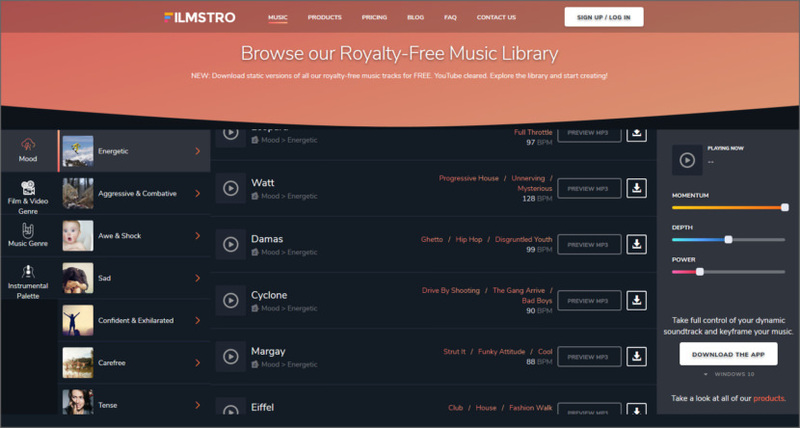 Finding GOOD royalty free music that matches the mood of your project is probably one of the hardest parts of making YouTube videos, without further ado, here are 7 of the best site to download free music. Jamendo is all about connecting musicians and music lovers from all over the world. 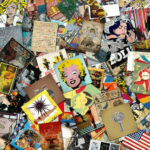 Their goal is to bring together a worldwide community of independent music, creating experience and value around it. 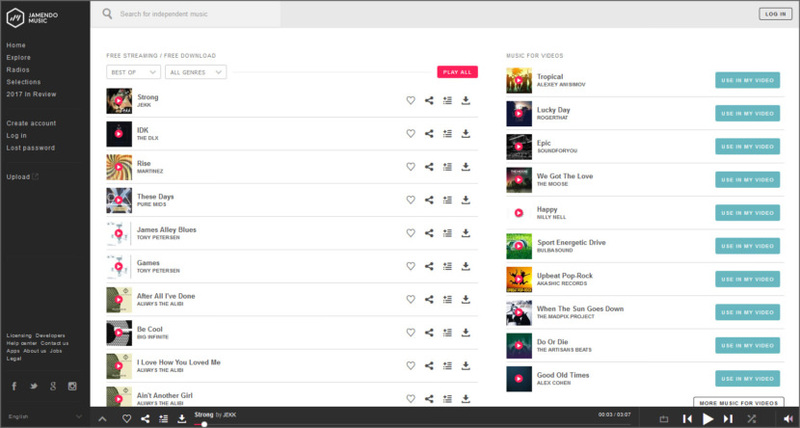 On Jamendo Music, you can enjoy a wide catalog of more than 500,000 tracks shared by 40,000 artists from over 150 countries all over the world. You can stream all the music for free, download it and support the artist: become a music explorer and be a part of a great discovery experience! AudioMicro provides the web’s best collection of royalty free music and sound effects at affordable prices. 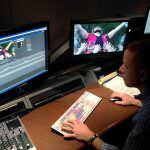 Their contributors are Grammy winning composers and Oscar winning sound effects artists and production houses. No joke. 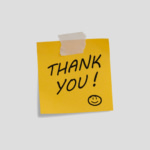 An unparalleled dedication to customer service. A friendly and knowledgeable staff. Their mission is your project’s success. 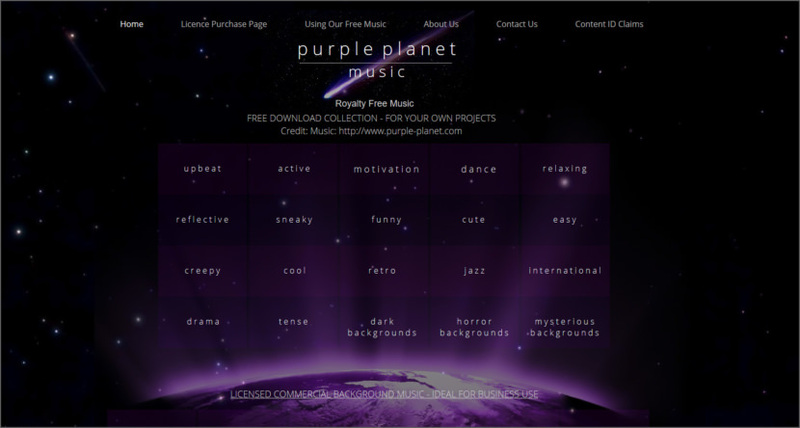 Purple Planet Music works out of Manchester and Leeds, England. Geoff Harvey and Chris Martyn compose, perform, record, produce and mix all Purple Planet material. Matt Dingle is Studio Manager. If you upload to YouTube, please add their credit precisely according to their T&C. 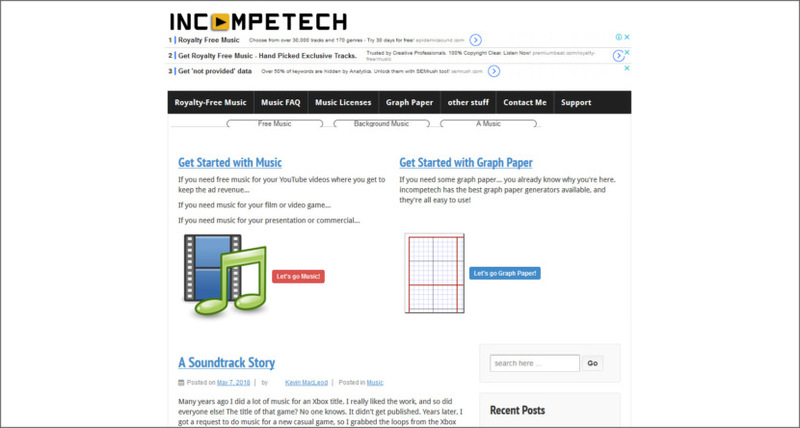 If you need free music for your YouTube videos where you get to keep the ad revenue, Incompetech is the answer. Kevin MacLeod is an American composer and musician. MacLeod has composed over 2,000 pieces of royalty-free library music and made them available under a Creative Commons copyright license. 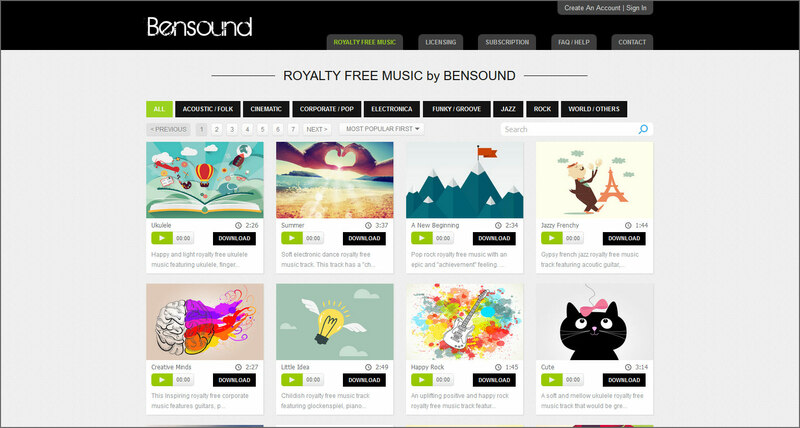 Highly curated collection of exclusive royalty free music, produced by our hand-picked artists. 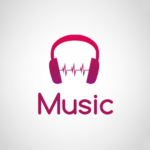 Music on HookSounds is released free of copyrights under Creative Commons, you may download and use it in a wide variety of uses. That means you can use it in your multimedia project as long as you credit the author for this artwork by adding a link to their website. 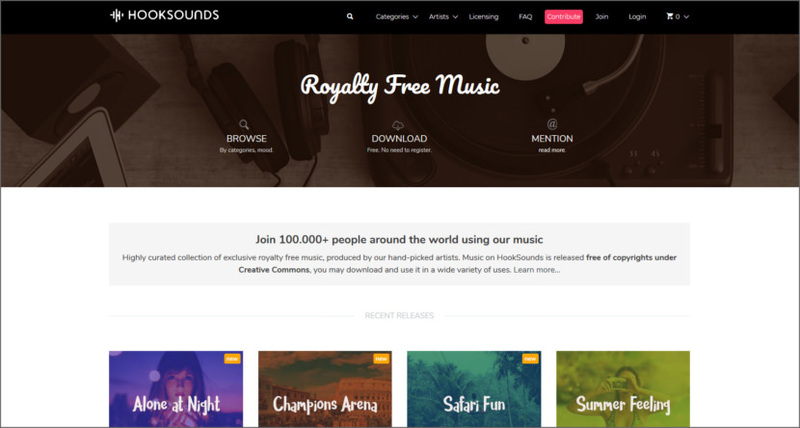 Download static versions of all their royalty-free music tracks for FREE (90 seconds). YouTube cleared. Explore the library and start creating! Can I use Filmstro Soundtracks on my Youtube channel and the monetised videos? Yes. You will receive all of your advertising revenue from your Youtube videos. Thanks for using Filmstro.